If your garage door in Columbus, Ohio, has seen better days, you may be wondering if it’s time to stop patching and repairing it and start considering a new replacement door. 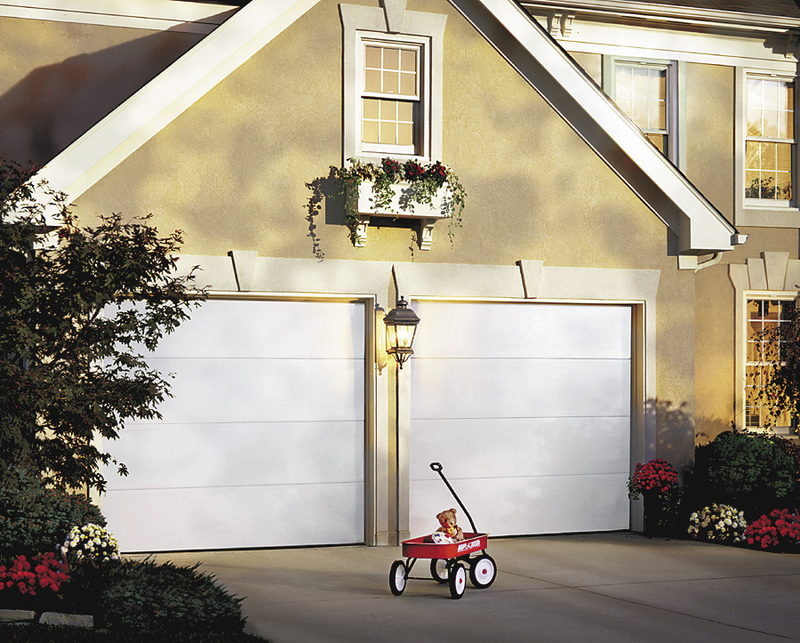 If it’s been a while since you shopped for garage doors, you may be amazed by the number of options available and the numerous benefits the newer models offer. If energy efficiency is important to you, you will be pleased to know that garage doors are available with a wide range of insulation options. In most houses the garage is a large source of energy loss, heating up your home in the summer and losing heat in the winter. Choosing a garage door with adequate insulation and weather stripping ensures that it will be easier to maintain comfortable temperatures in your garage. As an added benefit, insulation also serves as a sound barrier against outside noise, which will help you enjoy a quieter garage. No matter your budget, you will surely find garage door options for your Columbus home that will suit your tastes and keep your wallet happy. Manufacturers offer doors engineered out of materials ranging from aluminum or other metal options that are durable and beautiful while remaining budget friendly, to elaborate wood designs that offer timeless elegance and can cost thousands. Metal doors require minimal maintenance while wood doors require occasional painting or sanding. Additionally, you will be able to customize your door with decorative options like windows, light panels, or attractive hardware. When it’s time to replace the garage door in your Columbus, OH, home, turn to the professionals at 31-W Insulation. We offer numerous options along with expert installation services.